You are invited to the Back by Popular Demand Consignment bi-annual $1 Dollar Sale. 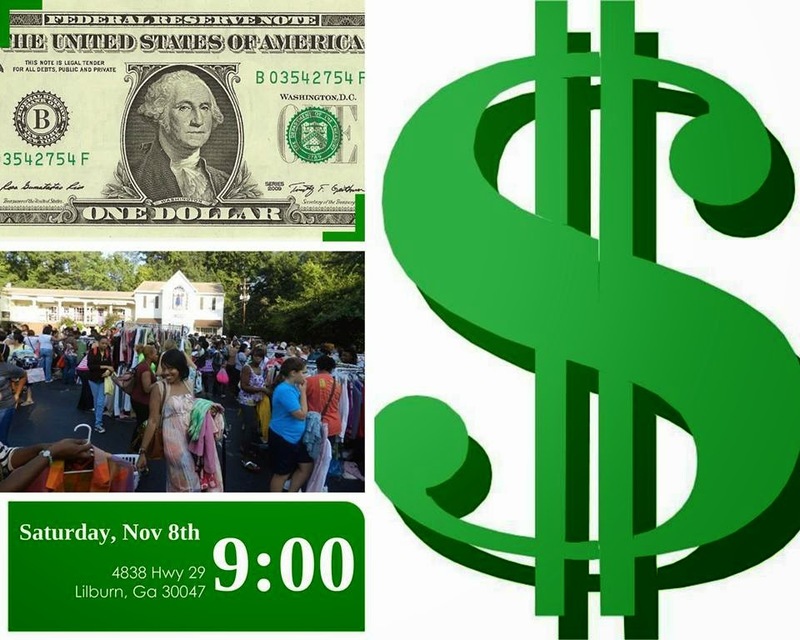 The outdoor event is scheduled for Saturday, November 8th, 9:00 am 4838 Lawrenceville Highway, Lilburn, GA 30047. There will be over 5,000 pieces available for $1 each. No tax. CASH ONLY. All proceeds benefit a local animal shelter. If you've never been its wild and crazy in a great way. The sale is over when the clothes are gone. Bring your own shopping totes and/or laundry baskets to carry your items. Get there early to secure a spot in line but remember no matter when you get there no one enters until 9 sharp. Click HERE for a preview of what you can expect!